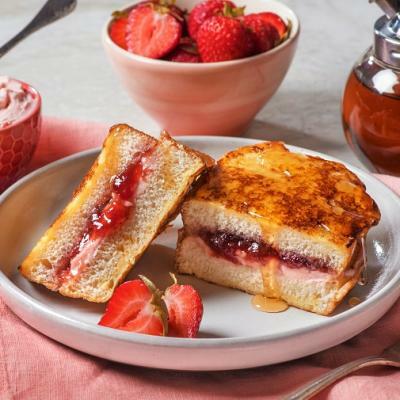 Classic French toast is a quick and delicious breakfast treat. Enjoy topped with maple syrup, jam, fresh berries or a dusting of icing sugar. Whisk eggs and milk in shallow bowl. Spray large skillet with cooking spray. Heat skillet over medium heat. Dip one slice of bread at a time into egg mixture and let soak for 10 seconds on each side. Remove from egg mixture, letting excess drip off. Place on hot skillet and cook until bottom is golden brown, 1-1/2 to 2 minutes. Turn over to cook other side until browned. Serve with maple syrup, fruit syrup, jam, honey or fresh seasonal fruit. 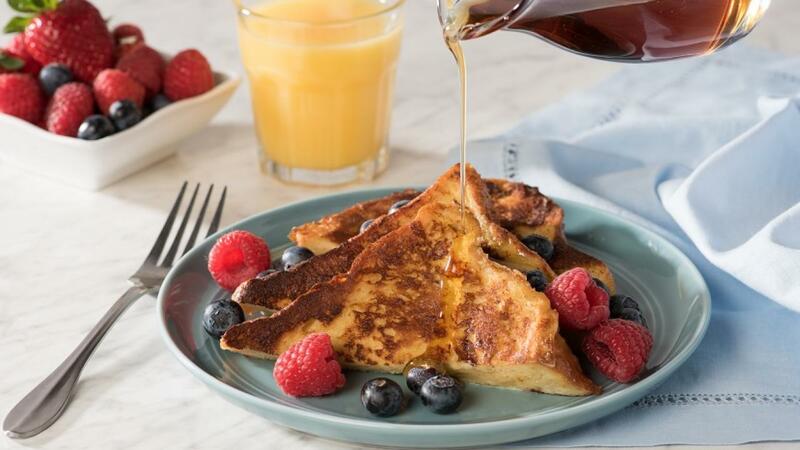 Orange French Toast: Substitute orange juice for milk. Blend in 2 tbsp (30 mL) sugar and 2 tsp (10 mL) grated orange peel. Serve with warmed marmalade thinned with a little orange juice. Use egg bread (challah), raisin bread or croissants. Add a little sugar or maple syrup to egg and milk mixture. Add spices (cinnamon, nutmeg, allspice) to the egg and milk mixture. 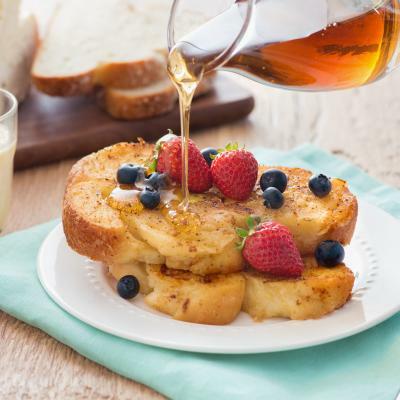 Sprinkle French Toast with cinnamon sugar after cooking. If cooking a large batch, keep cooked slices warm by transferring to a baking sheet and holding in 200˚F (100˚C) oven while cooking remaining slices.